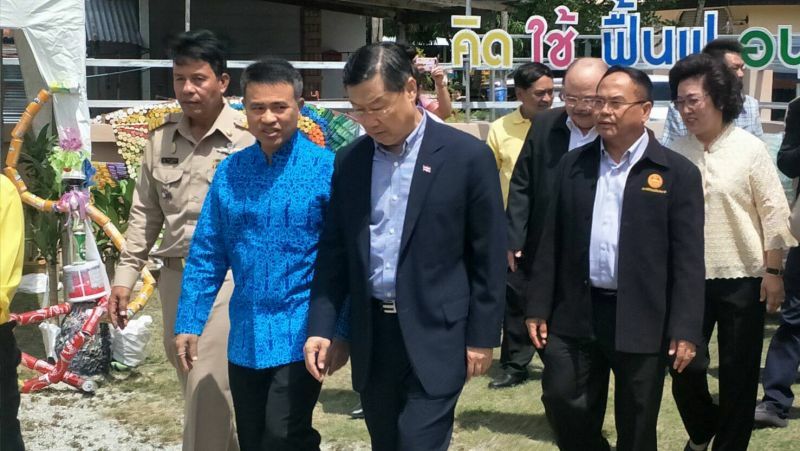 PHUKET: The First Vice President of the National Legislative Assembly (NLA), Thailand’s only legislative body as set up under military rule since 2014, visited Phuket today (Aug 1). Surachai Liangbunlertchai and his entourage from the NLA were in Phuket to donate five kayaks to a small community at the northern end of the island. Present for the occasion was former Senator Tunyaratt Achariyachai, who is also Vice President of the Phuket-based Kata Group of resorts, and Phuket Governor Norraphat Plodthong. 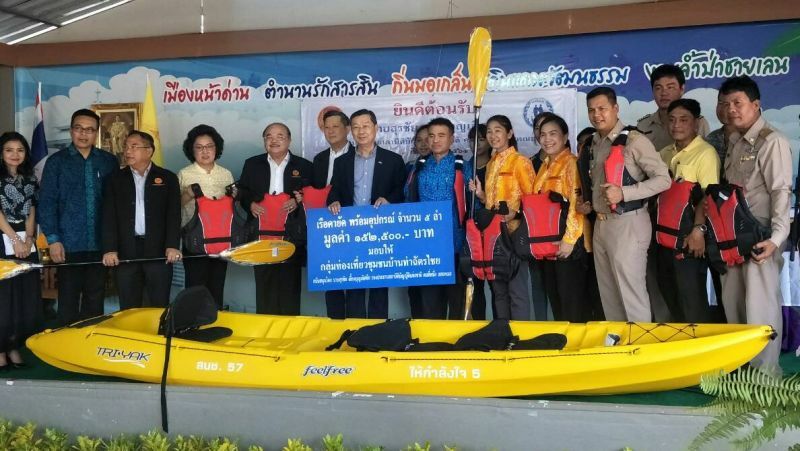 At an event at 10am, Mr Surachai and his team handed over the five kayaks, which were valued at B152,500, to the Ban Tha Chatchai community for use in developing their mangrove eco-tourism venture. Governor Norraphat said that Phuket needed to develop Ban Tha Chatchai to be one of ‘landmarks’ in Phuket. “Besides the beaches and the sea, we also need to promote the culture of local the community, including the architecture, food and ecosystem,” he said. “Tourists would stay longer if they had activities provided, including kayaking to admire nature. Such activities support eco-tourism, which helps to create income for local residents,” he added. Mr Surachai noted that he was impressed that local residents were working together to develop the community to be eco-tourism destination. Meanwhile, he also asked tourists to support the project to help provide stability for the community and to preserve the natural beauty of the area. Made no mention of any tour boat disasters, marine safety or the importance of having qualified, trained lifeguards at popular beaches to protect tourists and small children.